Using landscape planning software on your Mac can save you a fortune compared to the cost of hiring a professional landscape designer. It’s estimated the average landscape project costs around $2,651 although this can easily rise to almost 5 times more depending on the size and details of your project. The do-it-yourself route also puts you in a full control and nowadays there are some superb apps that are far easier and cheaper than complex CAD software for Mac. And although there’s some excellent home design software for Mac, many of them don’t have the specific tools needed to do landscaping properly. Incredibly easy to use tools such as SmartDraw allow your imagination to run wild whether its flagstone patios, swimming pools, a vegetable patch or exotic flowers you fantasize about in your garden or outdoor space. All the apps featured here work on Mac and some of the Cloud options on Windows too so this article will also be of interest to PC users. They’re all suitable for landscaping use worldwide including the US, Europe, Canada and Australia. Before diving in, there are a few questions you may want to consider to help choose the right program for you. Here’s a selection of some important things to think about. Do you want a 2D or 3D landscaping tool? Do you want to be able to upload a photo of your home or garden? Do you need costing features built-in? Do you need the software to pull GPS coordinates for contractors to view? Do you want to be able to do 3D walk-throughs of your finished designs? Do you need a sprinkler system layout planner built-in? Does the app have a detailed database of plants, shrubs and other garden related objects? Are there plenty of quick start templates to customize and help get things done quickly? Can the software project how changes in seasons, sunlight and shadows will affect your design? Can the app show you how plant growth will look years down the line? Do you need to be able to easily share your yard plans with others? 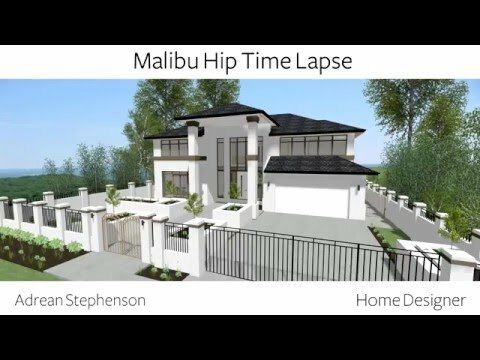 Do you need home design and landscape design rolled into one? Apart from considering these points, we also strongly recommend doing the following before getting started in any planning project. Measure your yard – also known as creating a base map or landscape map. You may be able to find one of these already done in the property deeds or original architectural plans for the property. Check any local rules, by-laws and regulations on private property planning and development before doing anything. Some regions have strict laws on what owners can and can’t do to their property environs. Consider the climate of your region to make appropriate decisions about plants, shrubs, position of the sun at different times of the year, shadow etc. Finally, it’s worth remembering that no landscape software can replace the skills and experience of a professional landscaper. Like any type of design, landscaping is an art with rules and design principles all of its own. With all this in mind then, here’s then is our list of the best landscape design tools for Mac of 2019 to design backyards, patios, decks and more. SmartDraw is by far the fastest and easiest landscape design tool you’ll find for Mac. SmartDraw is a professional but accessible diagram software that has thousands of quick-start templates including many for landscape design. The great thing is that much of the hard work is done for you as all you need to do is customize one of the scaled templates that most closely matches your setup. The choice of templates is by far the best we’ve seen in any landscaping app including layouts for patios, pools, decks and floor plans providing lots of inspiration. SmartDraw is also suitable for professional landscape design as it has site plan templates for both commercial and residential planning. There are thousands of symbols and shapes for both landscapes and backyards including the possibility to drag and drop flowers, grasses, sprinkler systems and brick patterns. Note however that you can’t add images and you can’t account for different elevations in SmartDraw. Once done with the blueprint, you can export to almost any format (Office, PDF, SVG, JPEG, PNG) at almost any print size needed. You can also simply send a link to anyone you want to share your designs with. Since it’s entirely Cloud based, you can easily collaborate with family or colleagues online and you can use it on any device including iPad, iPhone, Android and PC. For professionals, SmartDraw is also integrated with Atlassian’s Confluence, Jira and Trello for use in corporate environments or in the field. 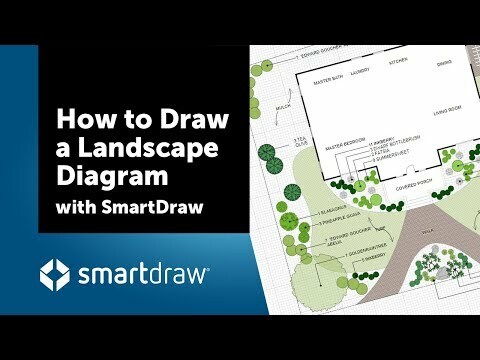 For DIY or professional landscape planning, SmartDraw is powerful yet amazingly accessible. You can get started landscape designing now for free with SmartDraw to try it for yourself. You can also read more in our full SmartDraw review for Mac & PC. If you want a Mac desktop app that allows you to use a real photo of your house or garden in, then GardenPuzzle might be for you. GardenPuzzle is an easy to use landscape design tool that works on and offline and allows you to easily drag and drop plants, structures, paths, lawns, water elements and more. If you don’t want to use your own photo, you can upload a sample from the library and then you simply choose plants based on filters such as size, climate zone, how much light they need and species. There’s 800 plants to choose from and you can easily drag them around until you find the right fit. You can even simulate how the plants will look during different seasons. If you need herbs and vegetables, you can also purchase additional packs for a few dollars. If you want something that’s focused on plants and shrubs and works both on desktop and online, GardenPuzzle is a simple to use, well designed tool. Home Designer Suite is a collection of DIY architect tools by Chief Architect designed for both interior and exterior design. If you want something that models your landscapes in 3D, then it’s an excellent option for bringing decks and patios to life. You can import photos of your own property or yard and there’s an ample choice of 3,600 plants with detailed botanical information including Hardiness Zone maps. There are specific tools for terrain planning with the ability to account for elevation, contours and show lot setback requirements to neighbors or professional landscape designers. One of the stand out features of Home Designer Suite is the Outdoor Kitchen Designer which allows you to choose from name brand appliances and furnishings. TurboFloorPlan Home & Landscape Pro is a powerful desktop landscape designer for both Mac & PC. However, it’s aimed at DIY home enthusiasts and has an easy learning curve. There’s a limited amount of templates to get you started and TurboFloorPlan Home & Landscape Pro can automatically follow the contours and shape of your house as you draw. We also like the way you can zone plants together and then move them around collectively. There’s also a clever Topo Designer which adds real world topography to your designs and automatically adds or removed building pad. There’s a huge choice of materials including mulch, pavers, paths and flower gardens. There’s a good choice of plants and if it’s not in the directory, you can import it too. You can also build retaining walls, import photos or backgrounds and simulate how your plants will look in years to come. The only thing we don’t like is the Mac has clearly just been ported straight from Windows inspired. The interface looks and feels Windows-based and the Windows product is more updated than the Mac version. The current Windows version is for 2019 but Mac users still have to use the 2017 version. If you want something really simple just for redesigning your garden, try Garden Planner. Garden Planner is the most dated of the apps featured here but it’s ideal for basic sketching of ideas. You can do 3D walkthroughs of your designs. You can use the web version of Garden Planner for free although it’s useless if you want to save anything as it forces you to download and pay for the desktop app. No review of landscape designing software would be complete without mentioning Punch Landscape Design. Punch Landscape Design is one of the most popular landscape design apps on Windows and it also works on Mac. However, we’re not big fans of it because it requires you to build a house first before you can actually do any landscape designing. If you just want to re-design your garden, or want to mould a landscape without any property on it, this isn’t very useful. And even when you’ve done that, it only provides generic names for plants and shrubs and lacks the detail of the other garden planners featured here. If you want to design both a house and garden and want something cross-platform, Punch Landscape Design might be for you but we think there are far better options available to Mac users. Finally, it’s worth mentioning Landscapers Companion. While it’s not an actual landscape design tool, it’s a remarkably detailed plant inventory app of over 26,000 plants with detailed information on all of them. If you’re specifically interested in plants and shrubs, it’s an incredibly interesting tool and makes a great complementary app to any landscaping software. Landscapers Companion works online but there’s also a Mac desktop app and both allow you to make lists or wish lists of plants for your redesigns. There are a few online open source or free garden design apps out there but they’re limited in features and only suitable for basic garden sketches. Gardena Garden Planner is probably the best free landscape design software for Mac with a surprisingly slick and well designed interface. It looks good, it’s easy to use with lots of useful tips and there are some useful standard templates to get you up and running. If you’re planning to add a sprinkler system to your garden, Gardena Garden Planner also has a useful specialized irrigation system layout planner. Note that you can only save your plans if you create a Gardena account and log in first though. The Better Homes & Garden website offers the free online Plan-a-Garden app which allows you to sketch out flowerbeds and landscape plans. Plan-a-Garden includes a library of trees, shrubs, and structures, and can be arranged on a computer screen, then saved for future reference or printed out. VegetableGarden is about the only open source garden planner out there although as the name suggests, it’s a vegetable garden design software only for vegetable patches. However, it’s free to use although you need to create an account to use it. 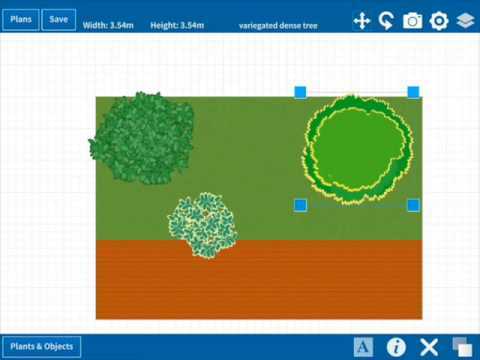 Garden Visualizer is a Cloud based free landscape planner which allows you to create 3D designs. You can upload photos of your house or garden and add common elements like paving, block paving, walling, edging and plants. You can also create your own bespoke step features, garden walls with pillars and garden paths. Unfortunately Garden Visualizer requires the Unity Plugin which is no longer being developed but you can still download the old version for Mac. Is There A Google Landscaping App? 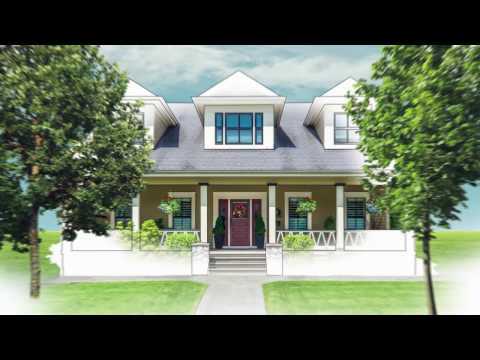 There isn’t a specific landscape design tool make by Google but there is SketchUp which is owned by Google. Sketchup has an extensive warehouse of images and particularly useful for landscape designers is the extensive library of native plants. There’s a free version for personal use although professional landscape designers must use the pro version if you’re designing for clients. Is VizTerra For Mac Available? Unfortunately the popular Windows-based 3D Landscape Design tool VizTerra does not work on Mac as Macs do not support DirectX 11 3D applications. There’s also no way to run VizTerra on Mac using virtualization software or any other tools to run Windows on Mac. If you want to run a PC only landscaping software on your Mac, your only option is to run Windows on your Mac. Virtualization tools like Parallels allow you to run macOS and Windows at the same time although it puts a lot of strain on your Mac and it’s better to use one of the solutions featured here. For more on this, check out our guide on the best ways to run Windows on macOS. We hope this article has helped you on your way to designing your dream landscape or garden plot. If you have any questions, problems or suggestions regarding the tools featured here, let us know in the comments below. If you’re interested in redesigning your home too, you may also be interested in our look at the best interior design tools for Mac too.